The HOD allegedly intimidated the students against any demonstration of protest. 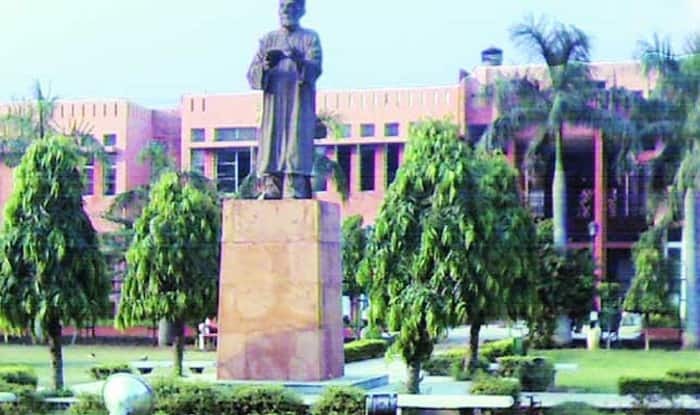 New Delhi: A woman studying in Jamia Millia Islamia University was allegedly groped by some students and was hospitalised on Thursday night. The incident has created a furore against the administration for failing to maintain safety standards inside the campus. The students of Fine Arts in the varsity decided to conduct a protest in January against the dearth of faculty members. As per a report, the students had just one faculty member for the nine core subjects in their syllabus. Soon a protest erupted on February 1, after the Head of the Department of Applied Arts, Hafeez Ahmed had allegedly been involved in sexual harassment. The HOD allegedly intimidated the students against any demonstration of protest. A report by News18 quoted Dhruv, a student of the department as saying, “He called me to his office on January 31 and threatened me. He even told me that he would rusticate me and get me beaten if we continued the protest.” On the same evening, Dhruv was allegedly thrashed by some men who were sent by the HOD. Following the harassment, the students of the department sat together and protested the next day with their demands. A scuffle erupted in the process and some women students were allegedly harassed by student supporters of the HOD. The woman student who tried to put an end to the violent protest was allegedly grabbed by her collar and was subject to harassment. Meanwhile, the HOD has been sent on leave, stated the university administration. The spokesperson for the university Ahmad Azeem reportedly said that the grievances of the students will be considered once the enquiry is over. In yet another incident last year, the students of the Faculty of Humanities and Languages in the varsity demanded that Turkish teachers are appointed and the language programme be shifted from the existing faculty to MMAJ Academy of International Studies.